We had the most GLORIOUS weekend here in Toronto. It's truly been a freak show of a magical winter, if that's even something you can even say as a Canadian. Spring feels like it's on its way sooner this year than any of the other years that I've been on this planet. Don't believe me? It was 12 degrees in the downtown area on Saturday!! ?☀I went shopping along Queen West, got a couple of impulse buys, and walked the whole 45 minutes home in the beautiful sun. 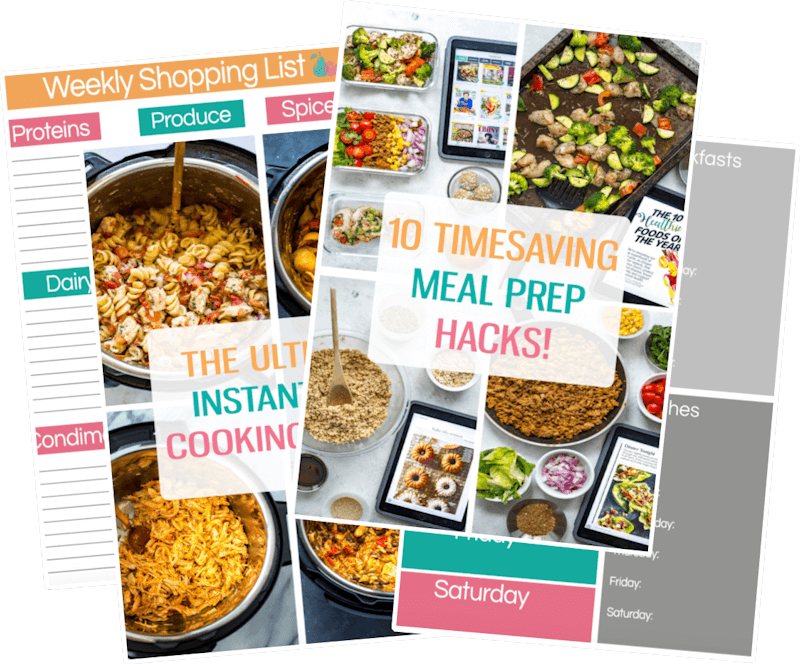 As much as I love the warm weather and the thought of summer patios, it's making me realize that there's not much time left in the winter season, and that means less one pot meals and hearty soups. 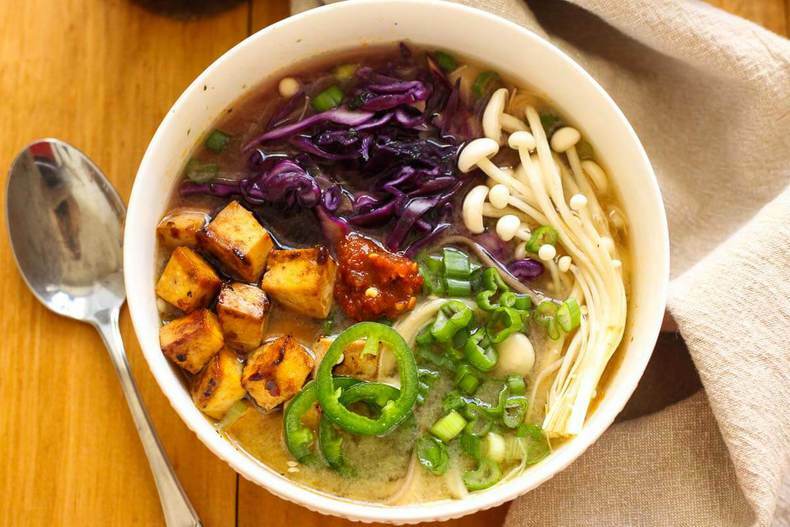 So, let us say goodbye to old man winter with these delicious Miso Soba Noodle Bowls, filled with colourful veggies and spicy slow-roasted, crispy tofu! Hearty and wholesome, not to mention meatless, and great for digestion, this babe of a bowl is ready in just 30 minutes. 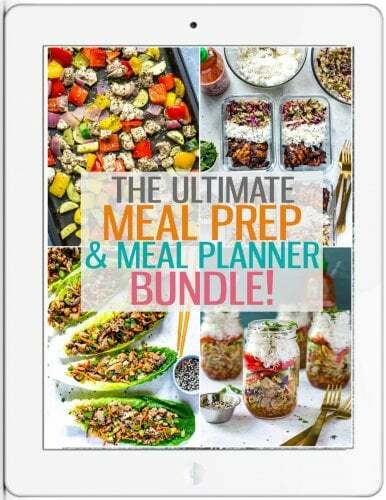 Healthy never tasted so good!? Okay, I know I might be overselling this recipe. Just a tad. 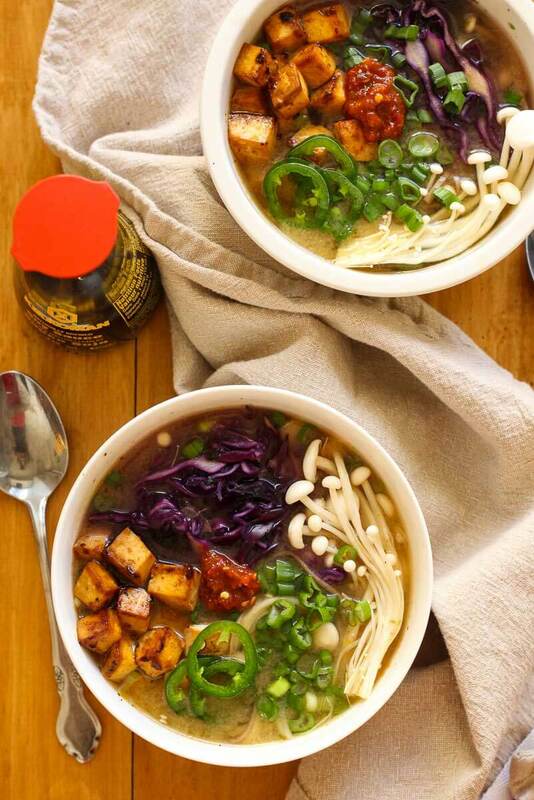 Maybe I'm just trying to distract you from the fact that these Miso Soba Noodle Bowls contain tofu. When I moved out on my own, I often bought canned chickpeas, beans and tofu because, let's face it, vegetarian protein is cheap. ?And they keep you full. But tofu has been something I've struggled with cooking for a long time because I've never managed to work with the natural flavours within it. Well, think of tofu like a sponge, first of all. Bad analogy, but honestly all it needs is a little marinade, just like your meats. Trust me on this one.? Sometimes a meatless meal is nice (#MeatlessMonday y'all!? ), but you can always cheat and add some chicken to these Miso Soba Noodle Bowls. Nothing's stopping you! But please, just promise me that you'll add a ton of veggies. That's what makes these bowls amazing. This recipe is just full of new culinary firsts for me. I've never in my life bought miso paste, because I never thought I could possibly replicate my favourite miso soup that accompanies sushi combos. ?I thought if I attempted and failed, I would ruin it for myself. 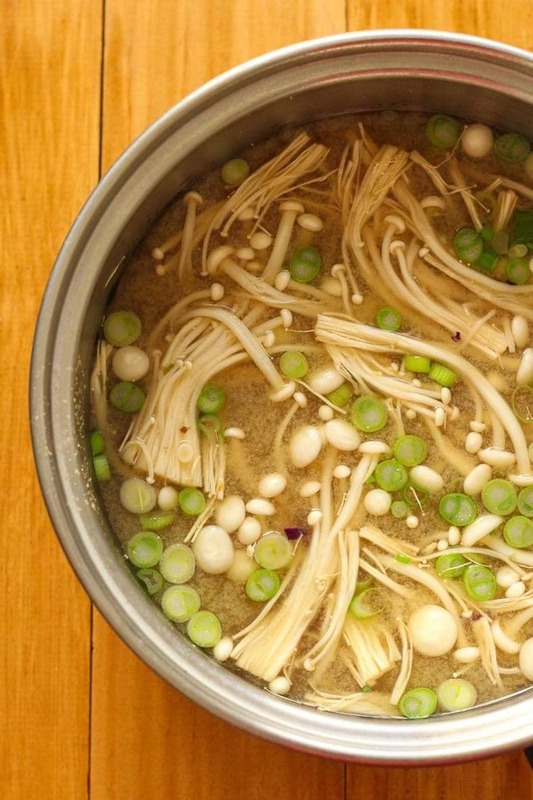 However, miso soup is remarkably easy to whip up, and you don't need a lot of ingredients! 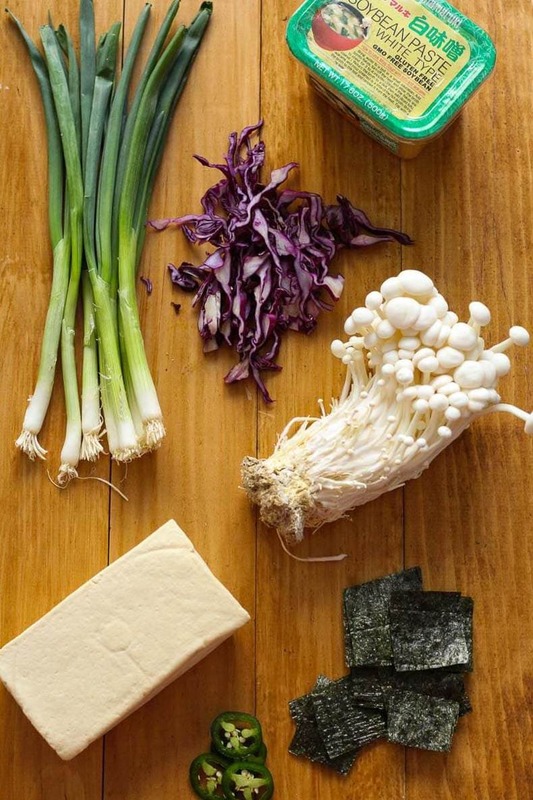 Plus, fermented products such as miso paste are really good for your digestive health! Pro tip: when you're at the grocery store, looking for soybean paste as opposed to miso paste. I almost bought a brand that was quite obviously for clueless white people that said miso paste directly on the label, but was $3 more than the soybean paste. Placed directly next to each other on the store shelf, I looked at the ingredient list. Almost exactly the same, and I saved money!?? 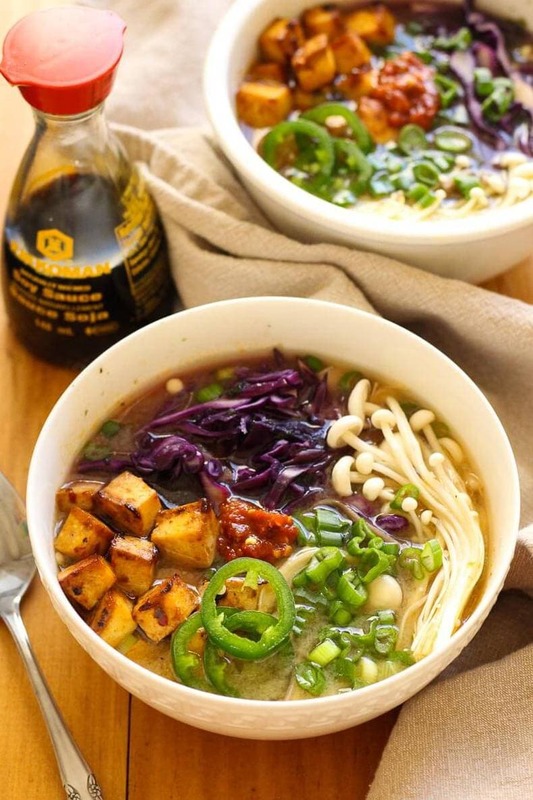 This is such an easy after work meal that I guarantee you will be falling in love and making these Miso Soba Noodle Bowls regardless of whether it's hot or cold outside. If you make them, be sure to tag me on Instagram and Twitter – I want to know if you're brave enough to try the tofu! These Easy Miso Soba Noodle Bowls are a quick after work meal that lets you use up whatever leftover vegetables you have kicking around in the fridge. Cut tofu into cubes and marinate for 15 minutes and up to an hour. 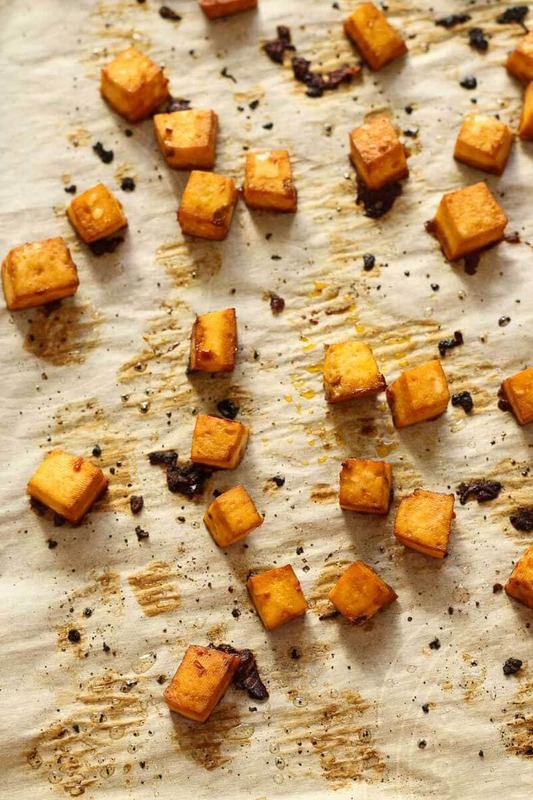 Remove cubes from marinade and roast in the oven on a parchment lined baking sheet for 15 minutes, flipping once. 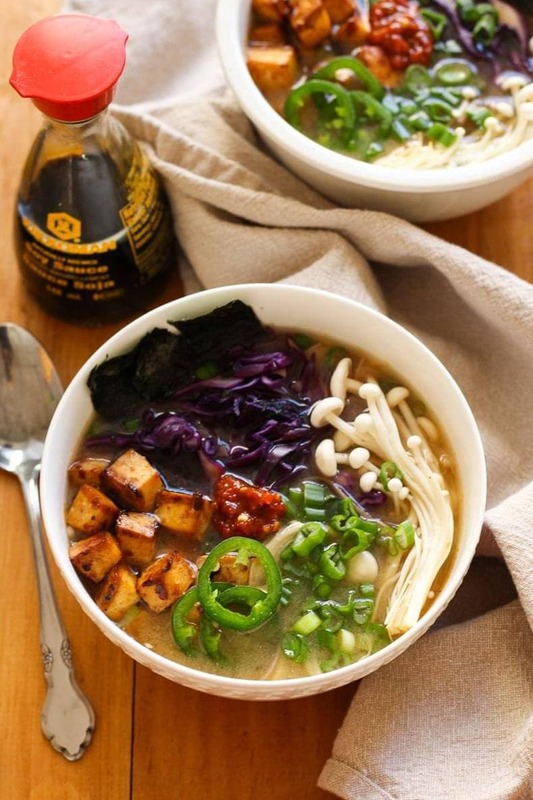 While tofu is cooking, make broth by combining miso paste with water in a large pot and whizzing constantly as you bring it to a boil. Add mushrooms and green onions and cook for 1 minute. Add soba noodles and cook for another 2-3 minutes. Spoon into large bowls, add desired toppings and enjoy! photos are stunning! 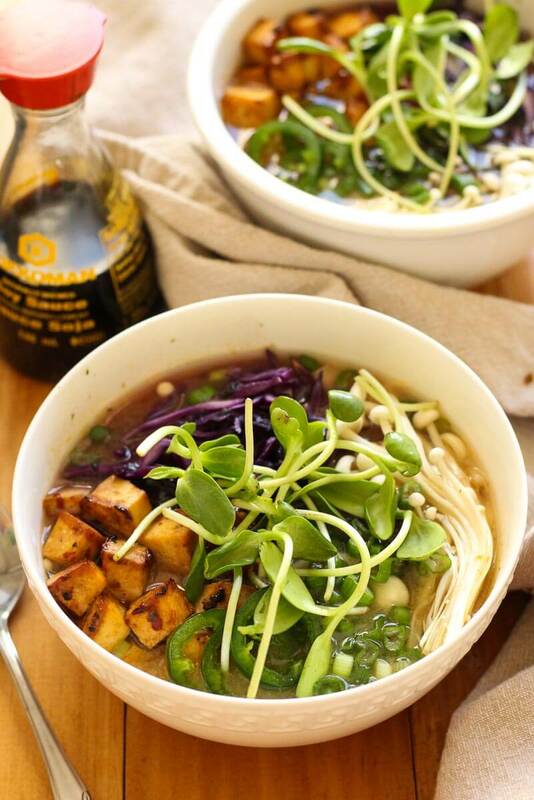 I love these kind of bowls – I could eat them every day! we are getting a lot of sunshine here too, LOVE it! Love tofu and this sounds simply delightful! Thanks Sarah, glad to hear somebody else around here actually likes tofu! Love your tip about soybean paste over miso paste. And this bowl is calling to me! Thanks Kristen! Sometimes labels at the store can get so confusing! So now I know what to do with that brick of tofu I bought recently when I was in a healthy mood and that has been sitting in my fridge ever since 🙂 Delicious looking and probably almost as good as chicken soup in curing whatever ails you. I see that soba noodles come in both cooked and uncooked varieties at my local grocery store. Which did you use in your recipe? Thanks!